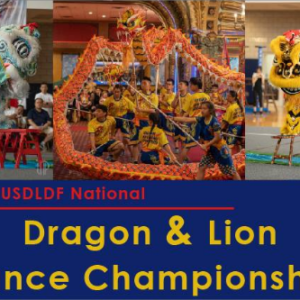 The USDLDF is proud to present the first Lion & Dragon Dance Coach Seminar, to be held April 19th through the 21st in Houston, Texas. 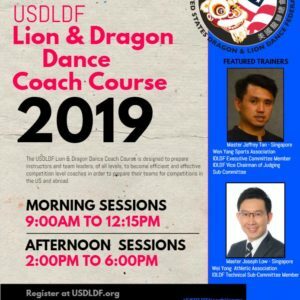 The course will be taught by Master Jeffrey Tan (Wen Yang Sports Association – Singapore) and Master Joseph Low Han Long (Wei Yong Athletic Association – Singapore), both are certified coaches and members of the International Dragon & Lion Dance Federation and multiple award winning coaches in the arts! 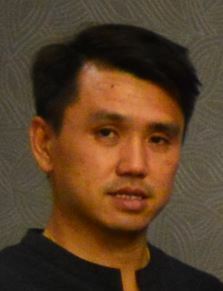 Proper conduct of a lion dance coach. How to keep all members on the team equally focused. Selection of athletes for various positions. Correct posture for lion head and lion tail as well as how to correct poor posture. How to see errors made by the student and how to correct them. Different training methods for different levels (e.g. 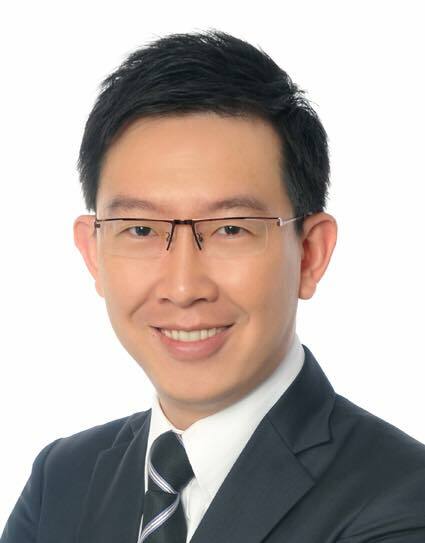 entry level, basic level, intermediate level, advanced level). How to train and correct drummers, cymbals and gong. Choosing the correct equipment to maximize your routine. 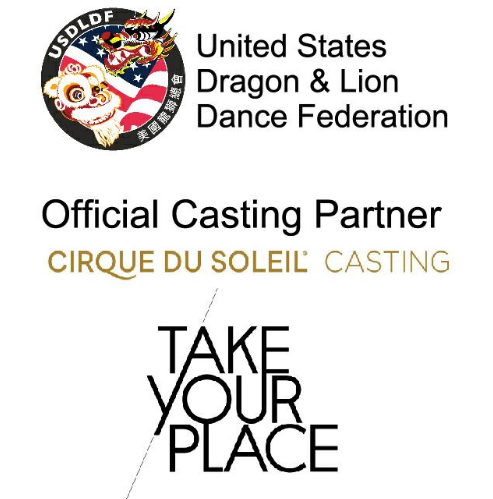 Planning and designing a lion dance routine – From the initial concept idea, to training progression to the execution of the final completed routine. Method of training — Muscle recovery, stamina training, basic techniques, short training, endurance training, etc. These topics will be covered in both theory and practice and the focus will be on teaching coaches how to teach. 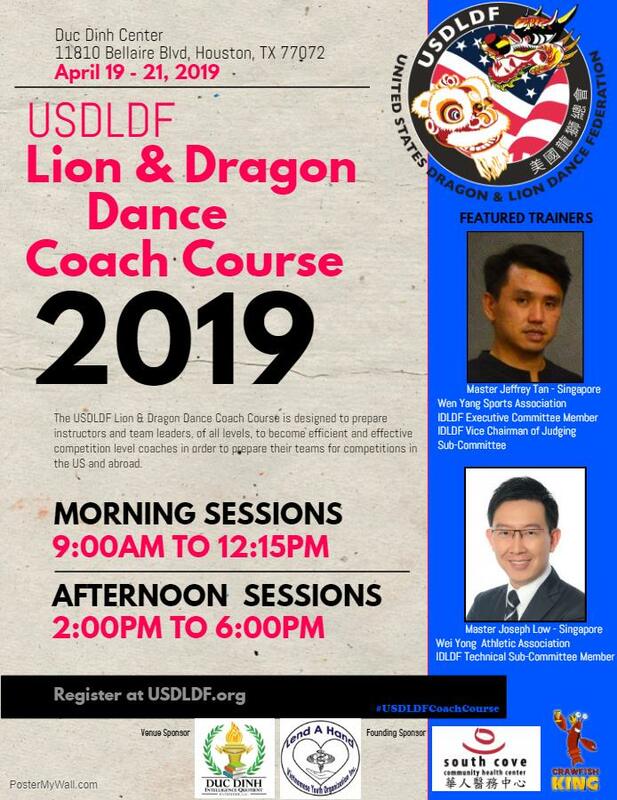 This course will not be teaching people how to lion dance, prior experience in these arts is necessary to attend this event. 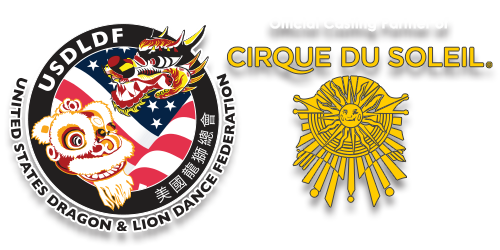 Must have previous experience in leading and teaching a lion dance team. NOTE: This course is open to all, USDLDF members and non-members alike are encouraged to participate. Limited seating event, we will only have 40 slots open for attendees. We have secured a great rate for the attendees at the beautiful Hilton Garden Inn Houston Westbelt of $79.00 per night! NOTE: to use the promo code, click the “More options” button and enter “USDLDF” into the “Group coupon” field. 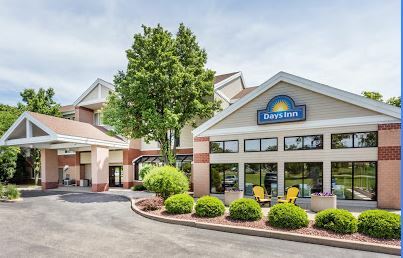 Special $5.00 rate for hot, full, made-to-order breakfast buffet, served daily. Original price $12.95! Ask the front desk for breakfast coupons at check-in, you will be charged only if you use it.